Saugus is a large neighborhood in Santa Clarita, California that is home to approximately 45,000 residents. Prior to the incorporation of Santa Clarita in 1987, Saugus was an independent community. Saugus was named after the Massachusetts hometown of Henry Hewhall, the investor and developer that first purchased the land here in the late 19th century. On San Fernando Road, diners enjoy perusing the menu at the Saugus Cafe just as others did in 1887 when the cafe first opened. Today, it is believed to be the oldest surviving restaurant in all of Los Angeles County. The Tataviam people populated this area beginning in the fifth century AD. At one point, about 2,000 individuals live in the early settlement. Gold was discovered in the area in 1842, six years before the famous discovery at Sutter's Mill launched the California Gold Rush. The Newhall Land And Farming Company developed the area in the 1870s and thereafter. Santa Clarita Park is conveniently located for the enjoyment of those that own Saugus real estate. It offers picnic pavilions, playgrounds, ball fields, basketball courts and a swimming pool. Avid disc golf players can enjoy an excellent layout in Central Park. The park also hosts a popular free summer concert series. Six Flags Magic Mountain is a major amusement park only a few miles away. The TPC Valencia golf course was the very first Tournament Players Club in California. The layout was designed under the guidance of PGA pro Mark O'Meara, and it can play at as long as 7,220 yards. Lombardi Ranch in Saugus hosts a month-long fall festival that features live music, face painting and lots of family fun. Pick out the perfect pumpkin after a wagon ride out into the fields. Watch the children fall in love with the animals in the petting zoo. Lombardi Ranch has a long-standing tradition of making sure that no child leaves the farm empty-handed. The Santa Clarita Marathon was first held in 1995. Now, dedicated runners enter this Boston Marathon qualifier in large numbers. The event is staged every November. There are hundreds of homes for sale in Saugus for the Saugus home buyer to consider. 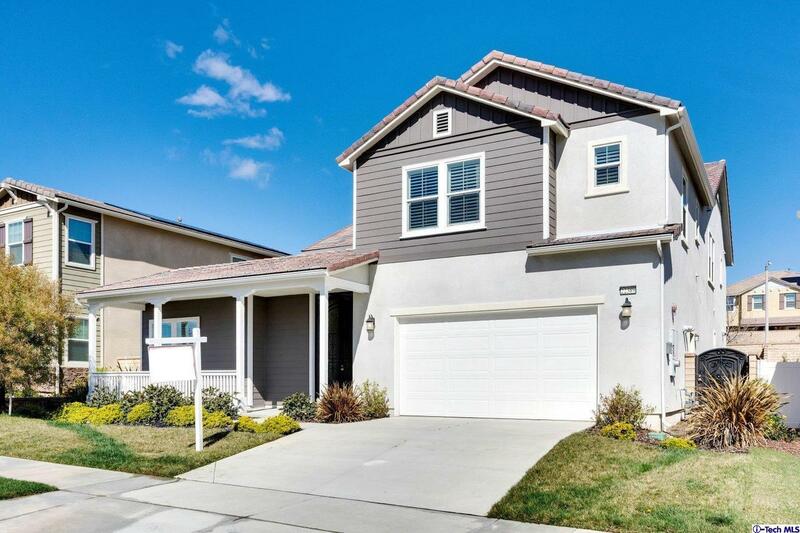 A qualified professional Saugus real estate agent can assist in identifying the Saugus CA homes that might be perfect for you and your family. Saugus homes for sale are mostly single-family, detached residences. Many Saugus homes feature 2,000 to 4,000 sq-ft of living space, multi-car garages, and energy-efficient designs. Some of the Saugus CA real estate for sale will feature in-ground pools, fabulous views and lush landscaping. A knowledgeable Saugus realtor can show real estate in Saugus that will address your every need. Discriminating buyers will find million dollar listings among the Saugus properties that are offered.